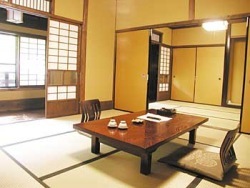 Welcome to Sanga Ryokan. 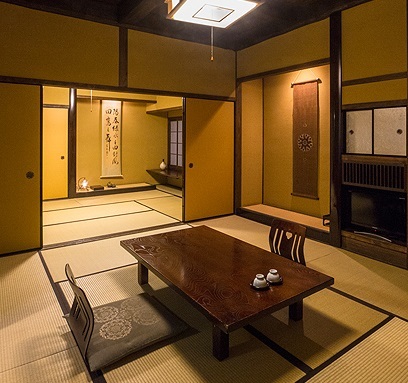 This gorgeous Traditional Ryokan has 15 Japanese-style rooms, and some of the guest rooms have their own private hot spring bath. 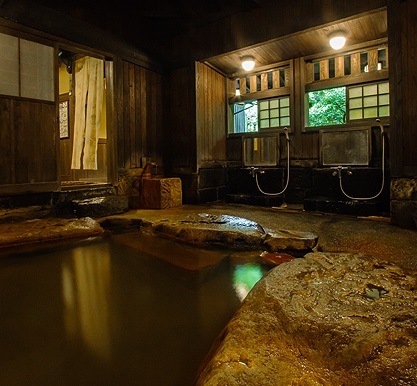 Sanga Ryokan has wonderful indoor and outdoor hot spring baths for both women and men (same gender only), and there is also a mixed outdoor bath for women and men (both genders). 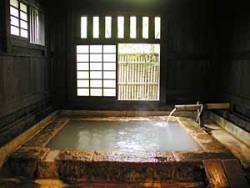 Sanga Ryokan has a hot spring "family bath" where a family can hang a sign outside and bathe privately. Please ask at the front desk for details. 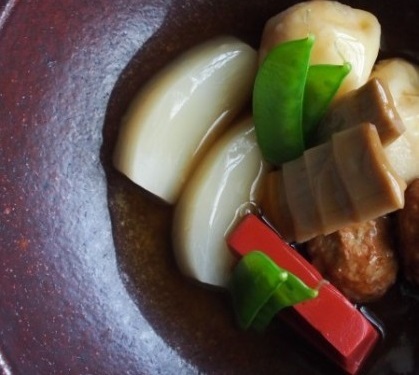 Traditional Japanese cuisine is served to the guests. heck-in time is after 15:00 and check-out time is before 10:00 am. Parking is available. 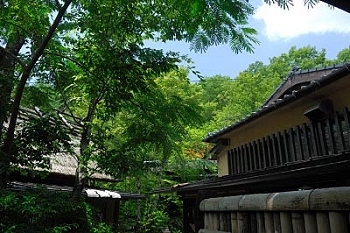 Note: Sanga Ryokan has a pick-up service from Kurokawa Onsen Bus stop. Please call them when you arrive at the bus stop using the number on your confirmation e-mail. A WONDERFUL PLACE TO RECOMMEND! 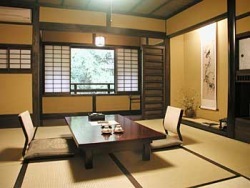 This wonderful and beautiful ryokan is located just outside of the village. You can there enjoy the nature and the relaxing atmosphere. 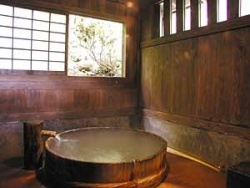 We used the private baths, one in wood the other in stone, great! The meals were excellent! The staff was very helpful and kindly. 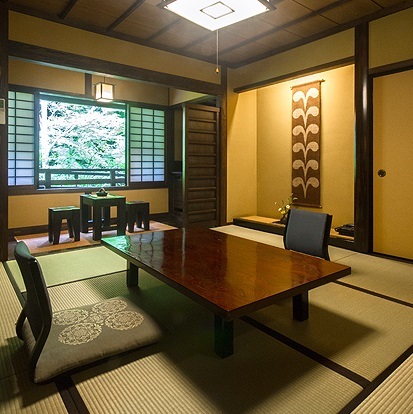 One of the most beautiful ryokan that we experimented until now, after three stays of on month each in Japan. 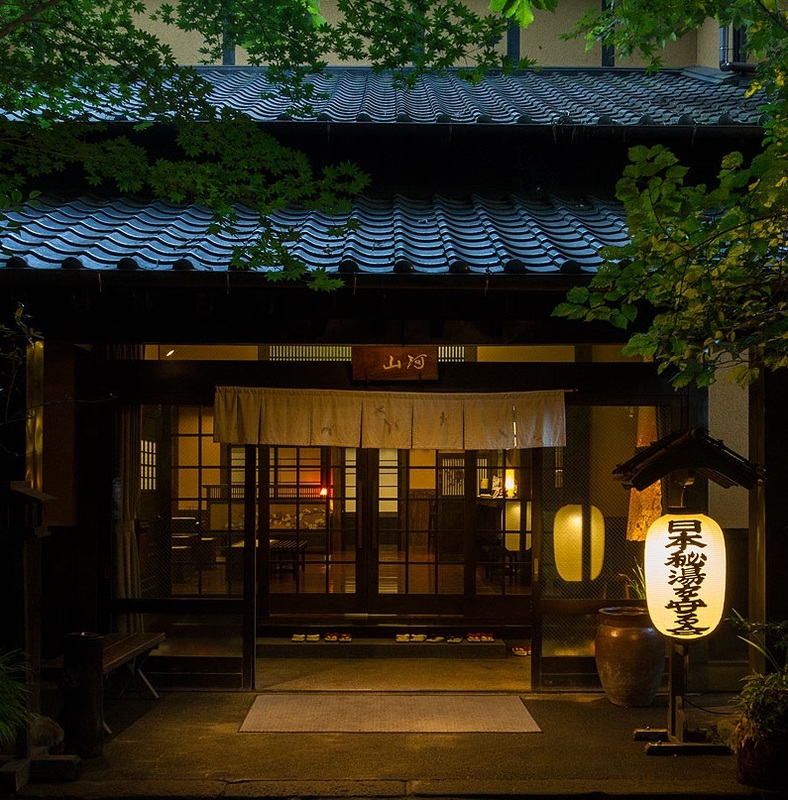 I had such a amazing time, I think this Ryokan is the best one there, it’s like you’re walking back in time or out is a movie. 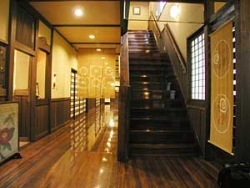 Old look of the building but perfectly kept, and paths down to each different hotspring. 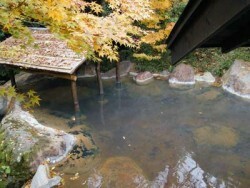 The hotspring make you feel so rejuvenated and calming. It’s out a bit from main part of town but great transportation and staff! I plan on returning I loved it so much! 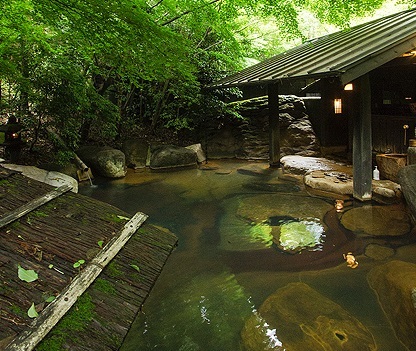 Wonderful ryokan in a natural setting away from the village. Tranquil, inspired and relaxing. 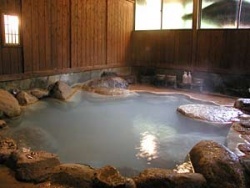 The onsen were spectacular, with non-sulphurous water, which meant that we could enjoy them for longer. 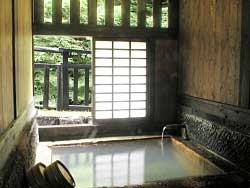 Had a room with a private onsen, and that was great. Great place, wonderful staff and facilities. We had 2 different rooms - one was a larger room with private bath, in the building north of the main reception. 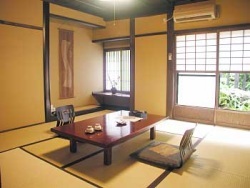 The second was a smaller room in the main building. Pay the extra money and stay in the larger room. basically book a family room / suite and pay the extra money - the larger room was amazing, incredibly relaxing, and had a huge private bath. The smaller room was more affordable, but really, the price difference wasn't as big as the difference in the experience. The smaller rooms are fine, but wow, the big rooms are great. Food's great, people are great, as others have mentioned, it's a long way from town so you have to use a shuttle or drive, but that's really easy. We'd stay there again. 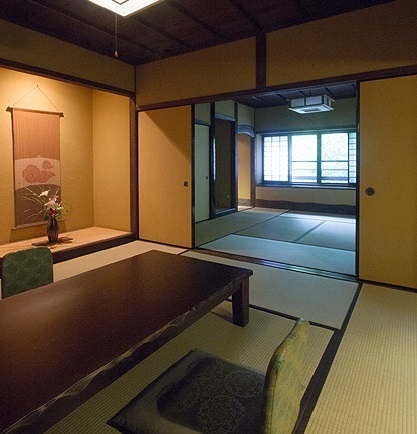 The best ryokan we have ever had during our stays in Japan. Excellent location, incredible in and outdoor pools, very attentive staff, delicious food (see pictures). I can not even imagine what could be better ! 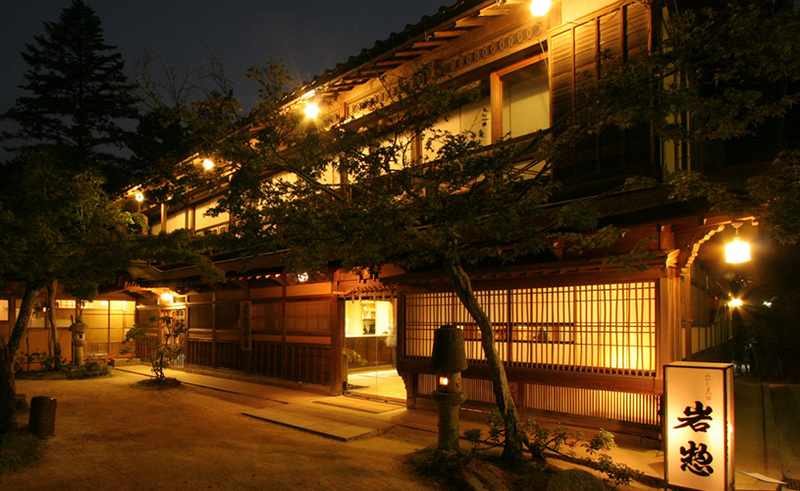 We enjoyed our two night stay at Sanga Ryokan. Our private outdoor bath was small, but in a lovely setting. Our room was very spacious. 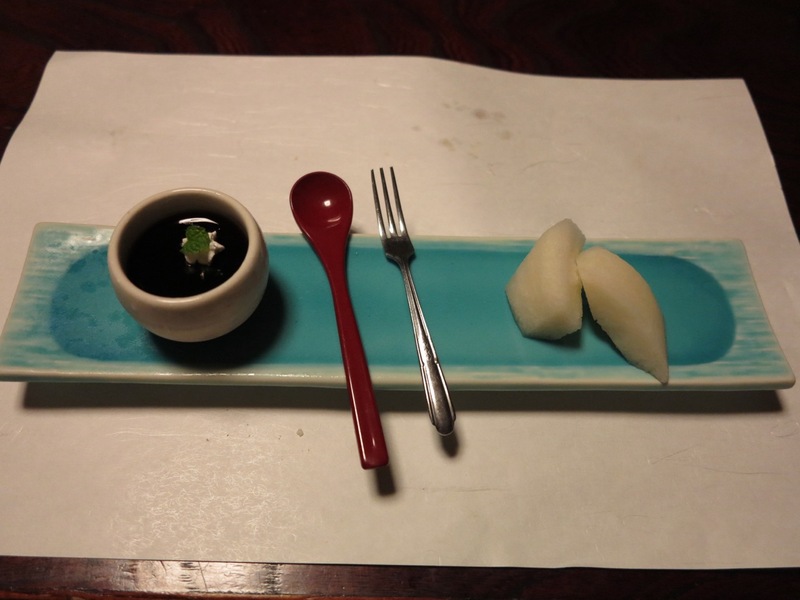 While not exceedingly fancy, the food was quite good and nicely presented. 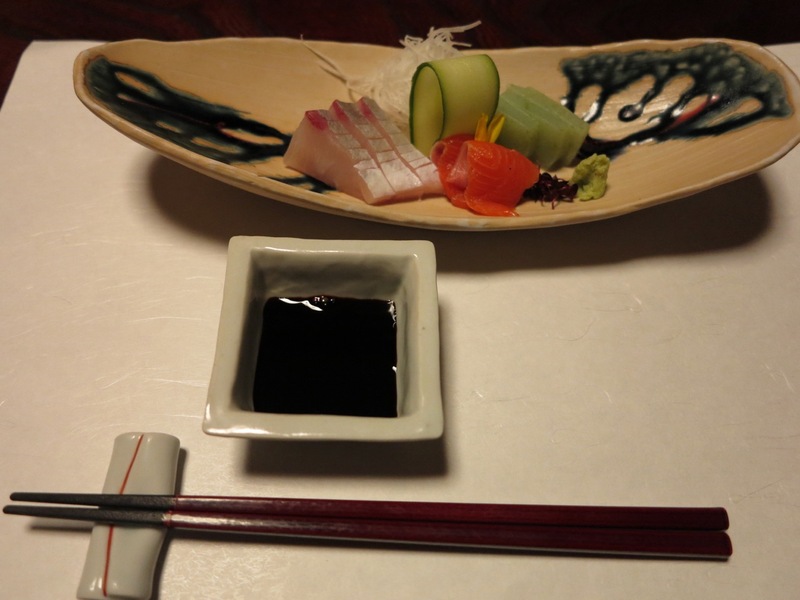 The staff was friendly and helpful, although their English was a little weak (but better than our Japanese!). We had a rental car and GPS was helpful in finding this place. 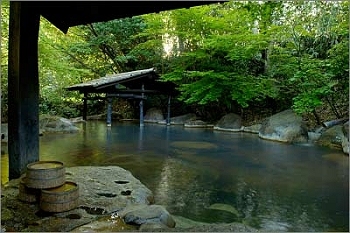 Sourrounded by forest and close to river , perfect peaceful place to rest and enjoy onsensssss ( there are several onsen: inside / outside / mix / not mix / private / public ) and very sophisticated and delicious japanese cooking . we strongly recommend it. beautiful grounds, comfortable room, great food and most importantly very thoughtful staff that will go above and beyond to make sure you have the most wonderful stay. wish wifi worked in the room. 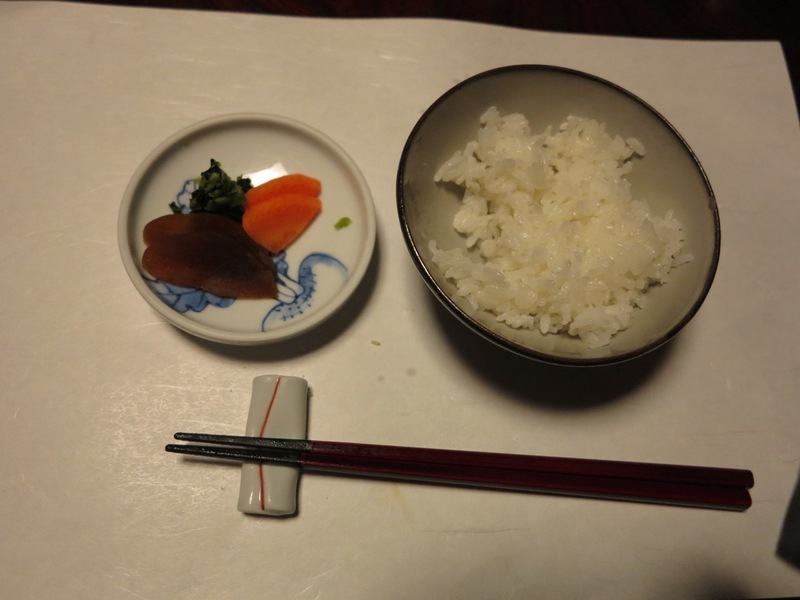 Good mid-range ryokan with good food and excellent service. 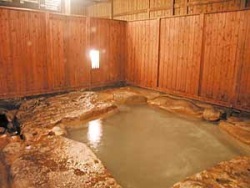 The range of baths is quite extensive. I wasn't too keen on the horsemeat but that may be a personal thing. 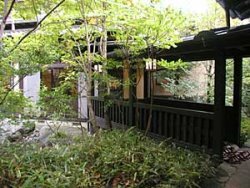 The only issue with this ryokan is that it is quite far from the main town center, be prepared for quite a walk, or ask the staff to shuttle you into town. This place was incredible. 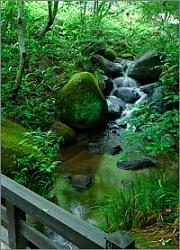 Hide away from the business and crowded area of the big city and bathing yourself in the sense of nature. 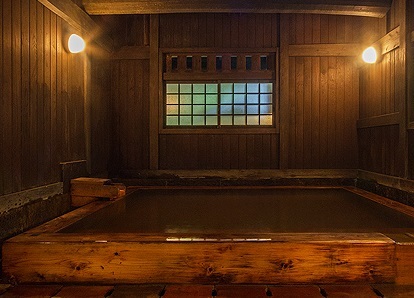 It was 1.6 km from the centre of Kurokawa onsen village but that was not a problem. 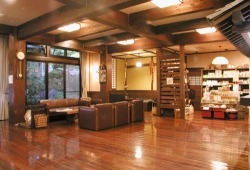 When you arrive at Kurokawa onsen just go to the information centre not so far from the bus stop and tell the staffs which understand English there to call the Ryokan for pick-up service then the Ryokan's staff will come to you in 10 minutes. Exceptional & Off The Beaten Path! 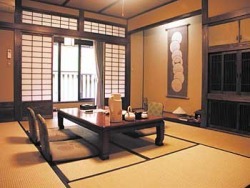 This was our 1st experience staying at a Ryokan. We splurged a little by staying a night in both rooms that included a private hot bath because my wife was a little shy. 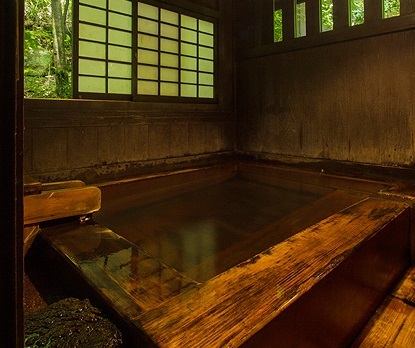 Located outside of the center of Kurokawa, we wanted some privacy & wanted to enjoy nature. We got much more - as the hotel staff was very accommodating; spoke excellent english; provided transportation to/from the bus depot as well as to the Kurokawa Village when we requested (they even held our luggage during the morning of our departure, transported us to the Village, picked us up after a few hours while we enjoyed shopping & then met us with our luggage as they took us to the bus depot); the rooms were very spacious, private & clean; the grounds of the Ryokan were very peaceful; dinner & breakfast we experienced both days were plentiful, tasty (even the horsemeat) and delicious - the presentation of the different dishes was truly remarkable; what an exceptional experience! 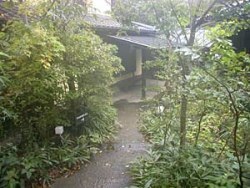 We booked the private hanare called Nemu-no-ki. This spacious apartment is above one of the shared baths, though we didn't hear any noise at all. 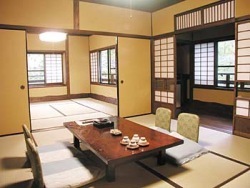 There is one large tatami room, with zataku table and storage. A large bedroom has wooden flooring and very comfortable western beds. 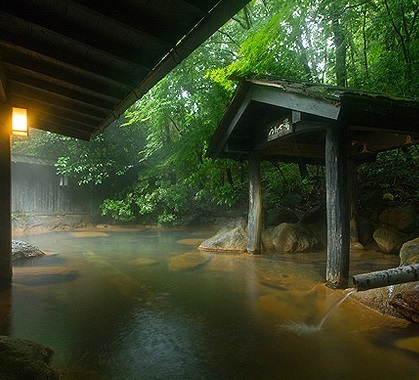 A key attraction is that Nemu-no-ki has both an indoor and outdoor private bath - the indoor one built of stone and the outdoor one of wood, situated on a spacious wooden deck. Both of these look out over the river, which one can hear rushing by below. It's a really beautiful apartment. Dinner is served in private areas within a central dining room space. 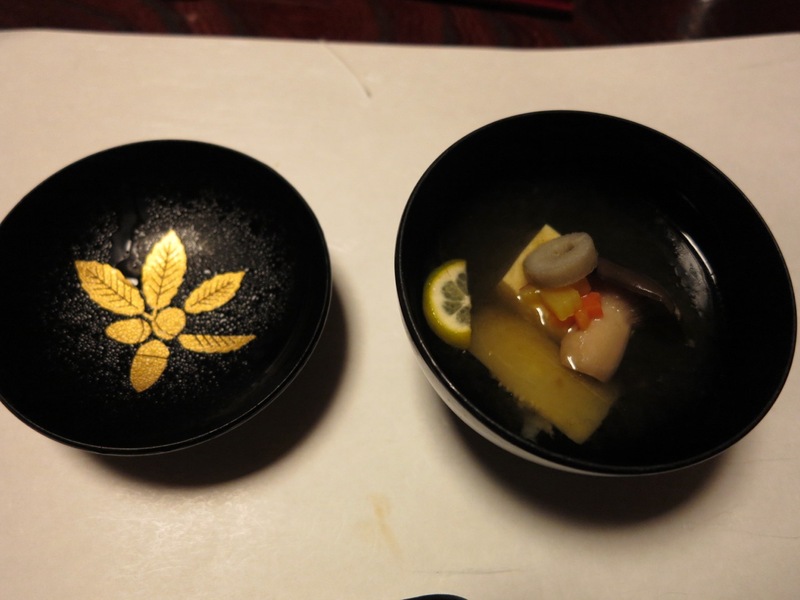 Although the food is reasonably good, it's definitely not the best ryokan kaiseki meal we had in Japan by a long shot. 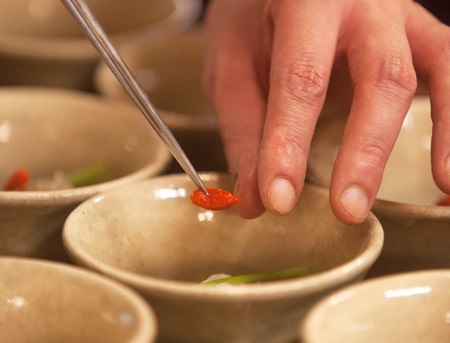 The two main issues are that the courses are not well balanced, with too many clear broth based courses and that they are served far too quickly. We are not slow eaters but were often only starting one course when the next one came, and sometimes the one after that just a few moments later. So courses waiting to be eaten stacked up. This occurred also on our second night, even though we had requested the speed be slowed. 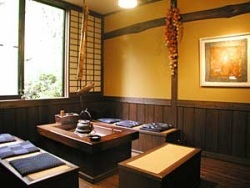 Staff were friendly but service felt more like that in a boutique hotel than a traditional ryokan. 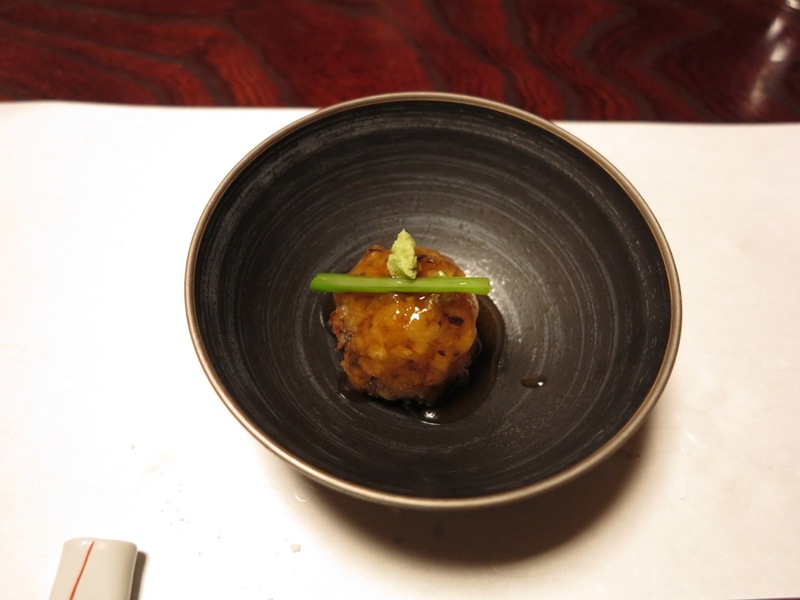 We would go again, for the stunning accommodation, and of course, the famous onsen bathing, but not for the kaiseki dining experience. It was the best night in my life! First of all, I would like to thank all people I met in Kushu. This is the most frendly region in Japan, or maybe i just was very lucky. Then i didn't knew what to do because the last bus has gone or try to find the way how i can quickly get to somewhere - i was always saved by somebody. Thank you all, I will back and I will try to plan my jorney more carefully to don't make you troubles! 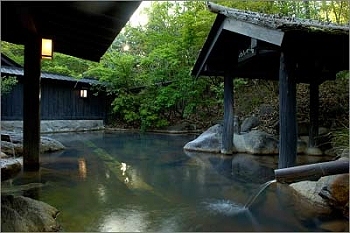 :) And of course Kurokawa Onsen and Sanga Ryokan it was one of the most memorable places I have visited. 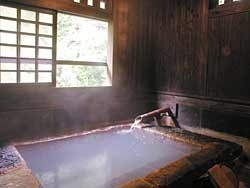 There are many nice hot springs in this town, but Sanga is very very special inn. It very beautiful and warm. Firstly because of staff. Its not just because they are professionals. They really can to become your family! Then the "check out" time has come, I was crying in my heart I didn't want to go anywhere, if this place isn't Sanga.Thanks to the staff this place have very strong and fantastic atmosphere of Japan, not like some other ryokans in Kurokawa (which have just spirit of "high class european hotel" in spite of japanese-style interior). 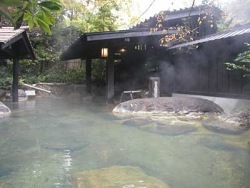 And I want to note Sanga hot springs. That was excellent! 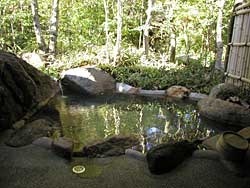 I have privat outdoor bath in my room, but I also tried other hot springs. I cant to find such words to describe my admiration! Sound of the river, scent of the forest and charming views made me to forget about all problems, doubts and about all the world. I already started to recommend Sanga to all my friends and of course I want come back to this incredible place again! 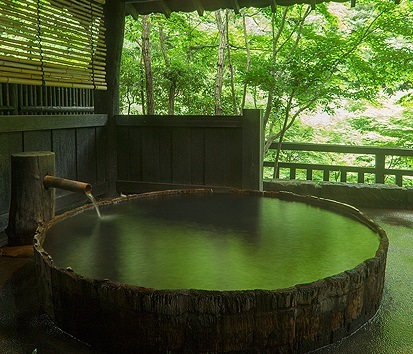 With love to Sanga Ryokan. We stayed on the 2nd level in the main building. The room is enough for all 4 of us to share but is not spacious. The meals are excellent and we enjoyed our meals a lot. 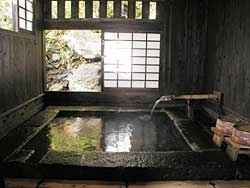 The baths are great too and there are 3 private baths too. Staff are helpful and friendly even if they are not conversant in English. Beautiful grounds. Definitely worth a stay. 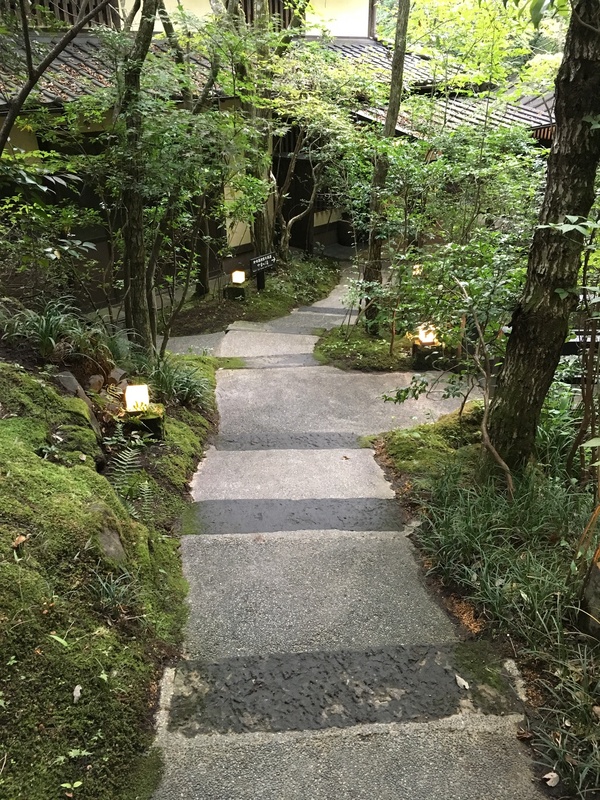 The ryokan staff made us feel welcome right from the beginning, the baths and the surroundings are lovely, and our room, on the first floor of the main building, was simple but perfect. We loved having our own private bath as much as the outdoor ones. 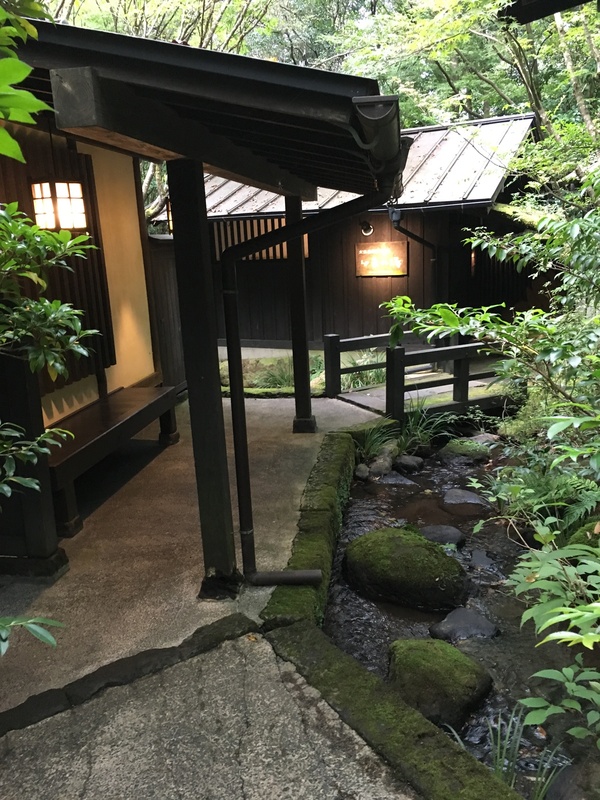 Hearing the sound of rushing water, exploring the quiet corners of the ryokan, and enjoying the wonderful meals made for a great getaway. 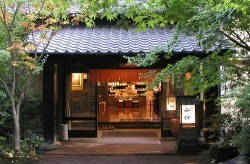 I actually liked that the ryokan was a little ways out of Kurokawa, especially since the staff made transportation easy.